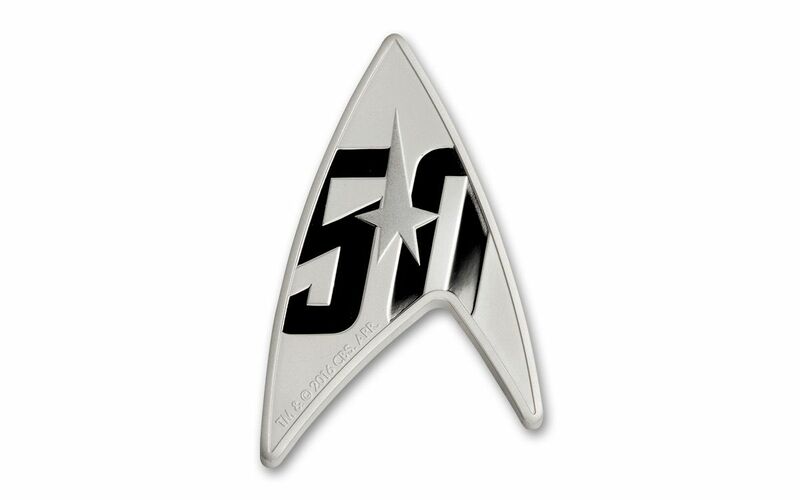 Boldly Go Where No Coin Has Gone Before! 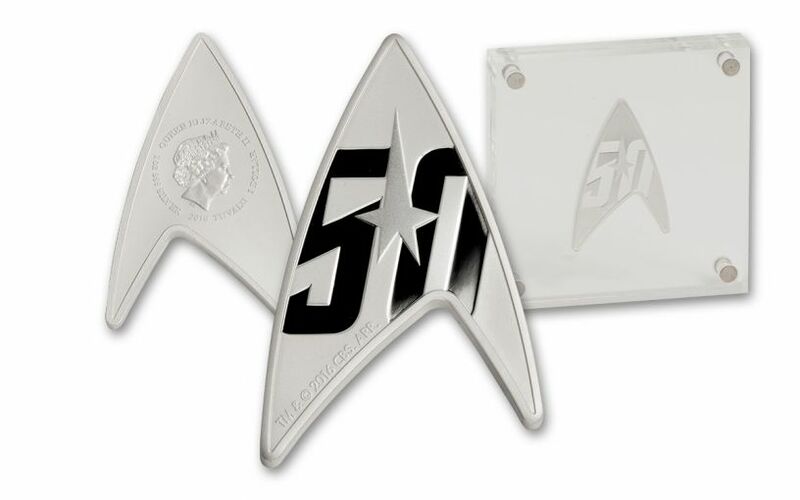 The Perth Mint is celebrating Star Trek: The Original Series' 50th anniversary by releasing these unique silver coins, struck in a full ounce of 99.9% fine silver and shaped just like the delta insignia worn by the show's unforgettable characters. 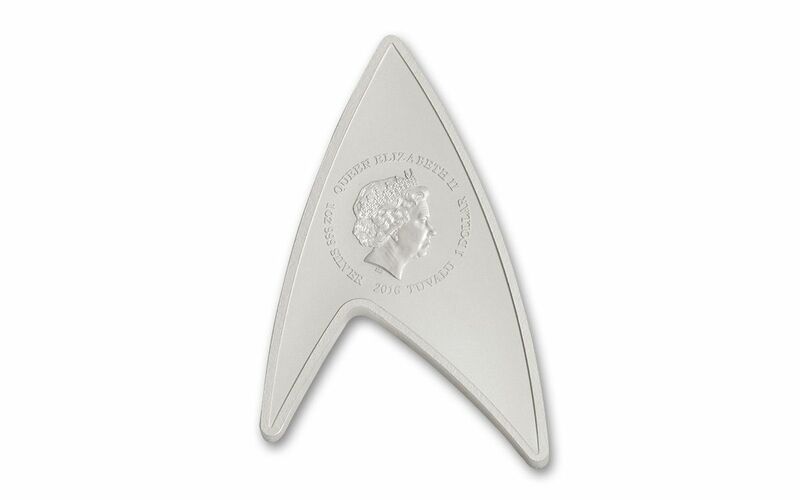 They're one dollar legal tender in Tuvalu, and make the perfect gift for any Star Trek or coin collector. 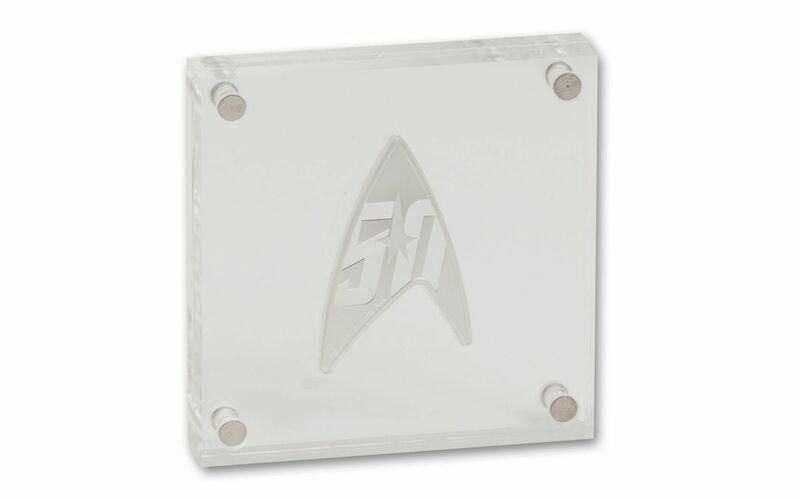 Comes ready to display in an acrylic case!